Sub Title: Charismatic cardio dance fitness focused on weight loss and body toning disguised as a dance party. 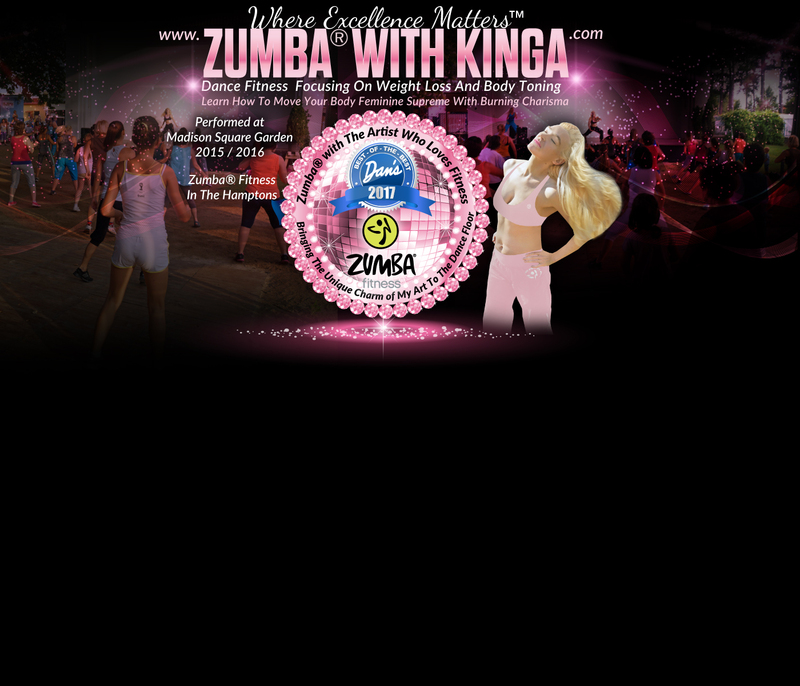 Description: Come and join European-American artist/fitness dancer Kinga for her charismatic dance fitness classes presenting today's hottest fitness programs, Zumba(R) and LaBlast(R), a calorie-incinerating cardio workout focused on weight loss and body toning disguised as a dance party. 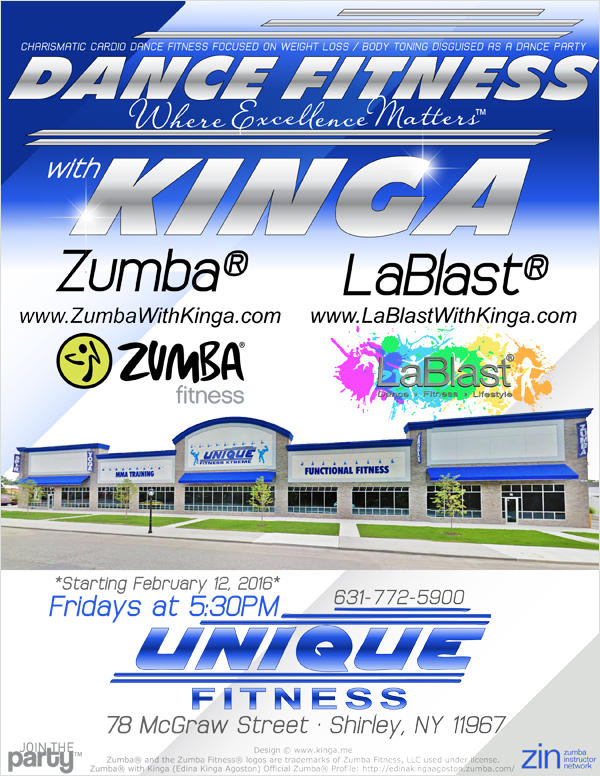 Are you ready to party yourself into shape? Please dress comfortably, wear sneakers and bring water.